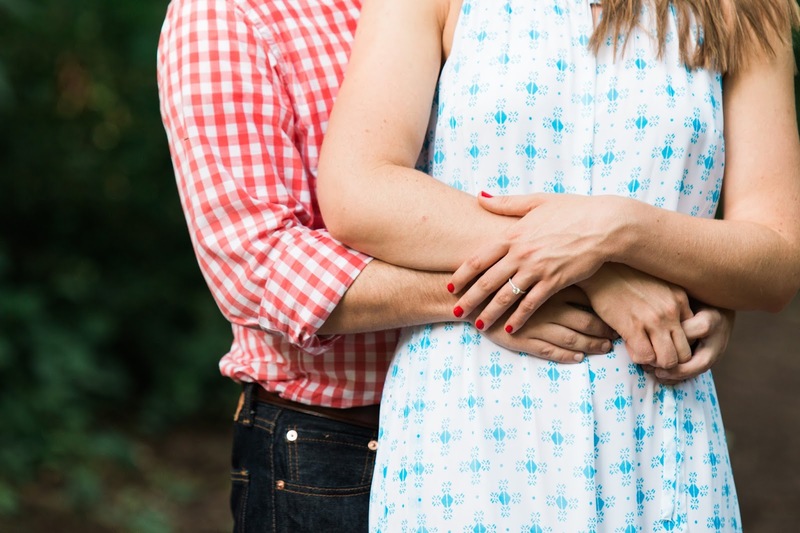 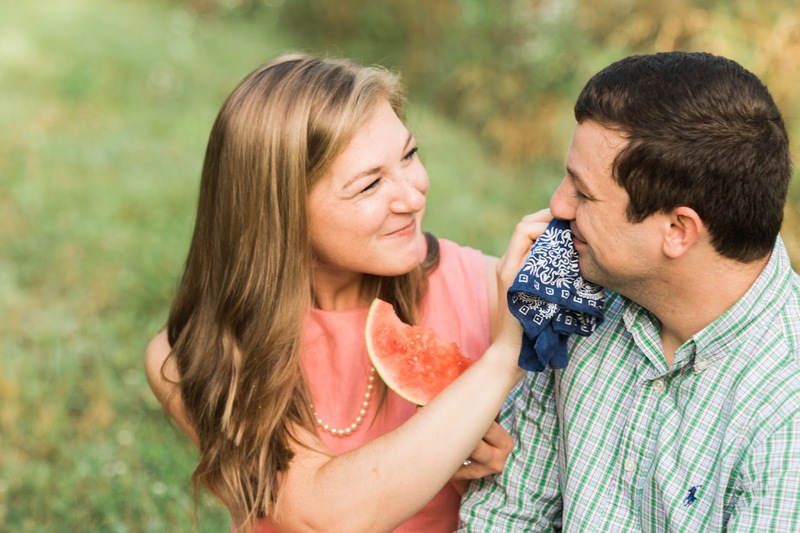 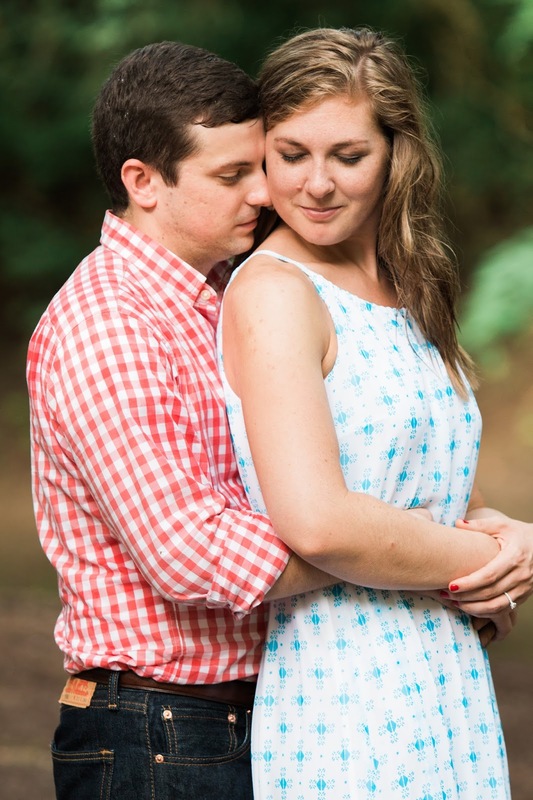 These very Americana engagement photos were sent to us by Nashville photographer Sarah Sidwell. 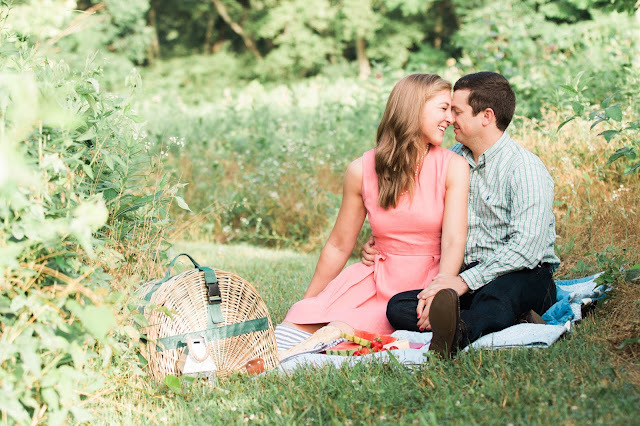 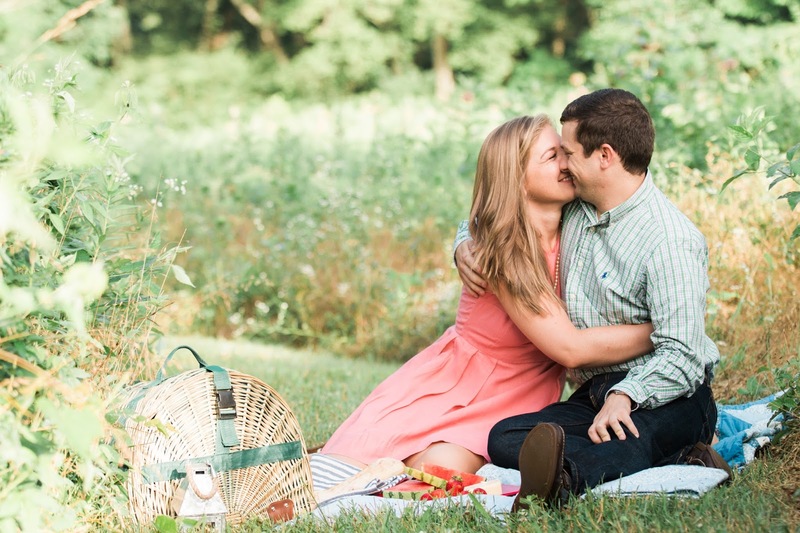 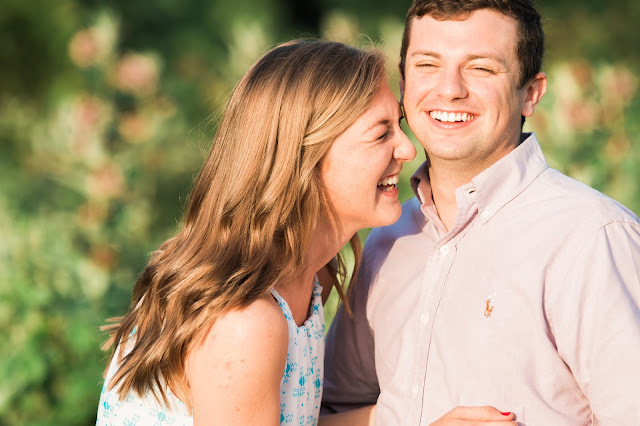 Sarah believes that engagement sessions should be like really fun dates. 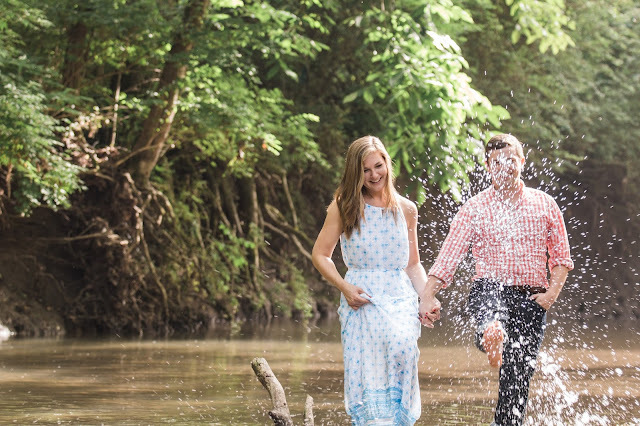 This philosophy helps her to capture fun, joyful, and romantic images that represent the couple genuinely. 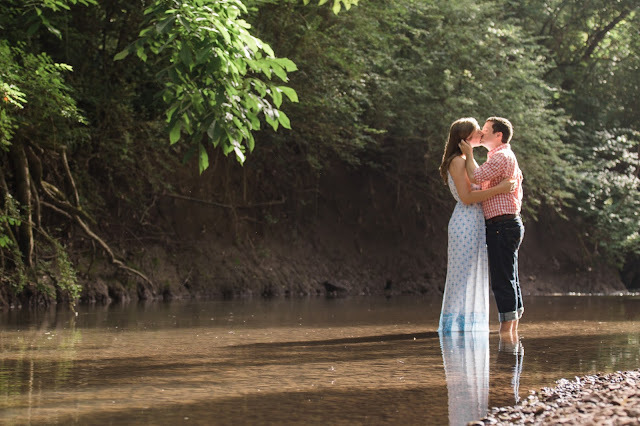 "Kayley and Jared wanted to capture candid and relaxed moments that truly showed their relationship in an authentic light. We worked together to brainstorm ideas and ended up choosing a Picnic in Edwin Warner Park (because Jared had proposed on a picnic) and added in little bit of creek wading just for fun. 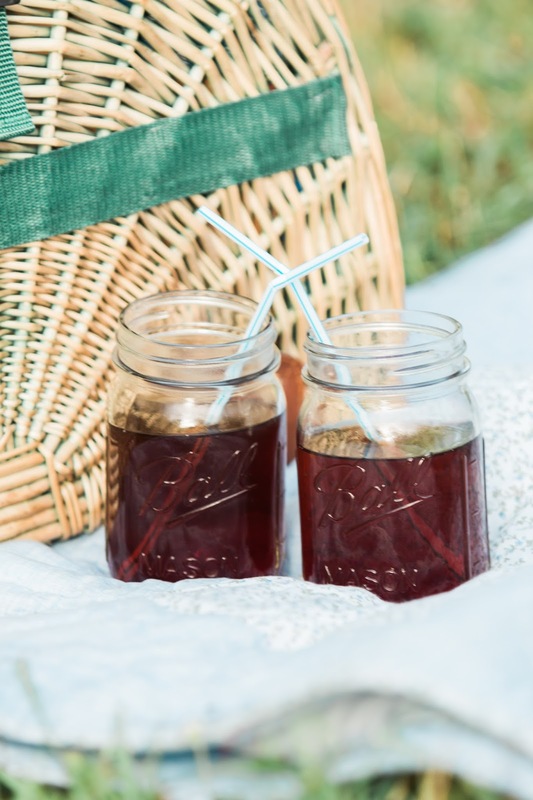 Kayley did a fantastic job tying everything together with the little details- especially those extra touches on their picnic! 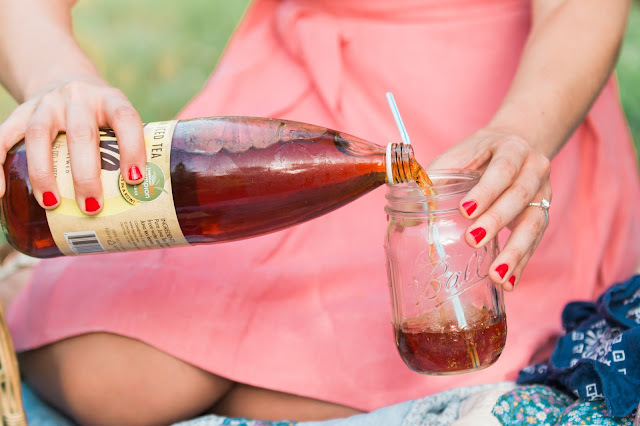 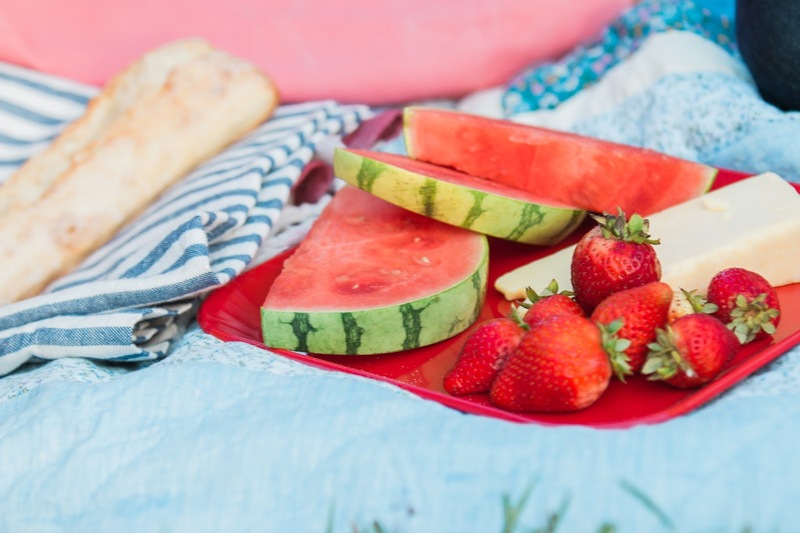 Obviously watermelon and Sweet Tea should be an everyday occurrence of a Tennessee summer!"